1 Apr Filed under Serenity. Bookmark the permalink. Infinite Netflix for $7.99 a month. Infinite YouTube videos. Infinite blog posts, articles. Infinite distractions. I am going computer free. No. I am not throwing away my computer. I have just decided to banish it from my apartment. That’s right. 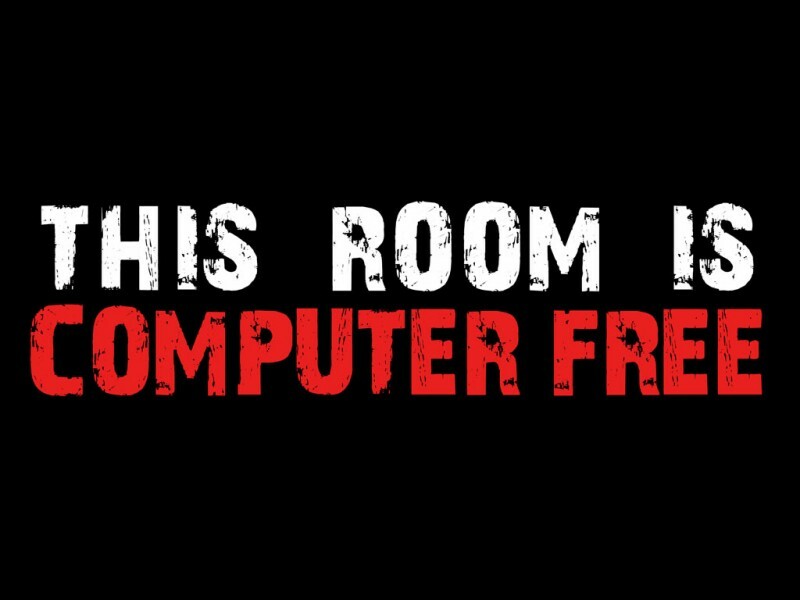 Today I have declared my entire apartment a computer free zone. I asked myself, “Where in the world do I go for distraction free serenity?” It is not the library – which is reserved for work. My studio? That is reserved for art. I decided that I need a space that I could retreat to where my mind can relax, without a constant barrage of information. Beginning today, my apartment will cease being a place for producing knowledge. It will cease being a place for consuming knowledge, information, and content. It will be a place to simply be. My smartphone is a powerful computer, and there is a moratorium of all activity on the phone outside of music, text messages, and phone conversations. No YouTube, no Netflix, no articles, no webpages, just a return to the 1980s, before computers ruled the world. Today, I declare my apartment computer free. I have kept up with my commitment. Before I went to bed on day four, I just sat there in my room. I Jonsed to watch a YouTube video, to read an academic paper or a news article, a TV show. A few minutes passed, and I thought about it again and again. I noticed how automatically I sought to fill empty time with an activity – an activity centered on consumption. I embraced the solitude, and recognized that solitude feels different than loneliness. I was alone with my thoughts as they echoed in my mind. I wrote down what I was thinking, what I was feeling. I went to sleep with a clear mind a woke up refreshed. It seems that we are wired for either input or output; consumption or production. I am seeing the power of turning off the spigot of information, data, and entertainment and reserving space and time for our minds to wander, and process. Today begins week two of a Computer Free Apartment. ← Older: Don’t we owe it to ourselves to give our dreams a fair shot?